Ride comfortably with the new stylish and efficient Ujet. The Ujet is a fantastic city and urban vehicle that is incredibly lightweight. 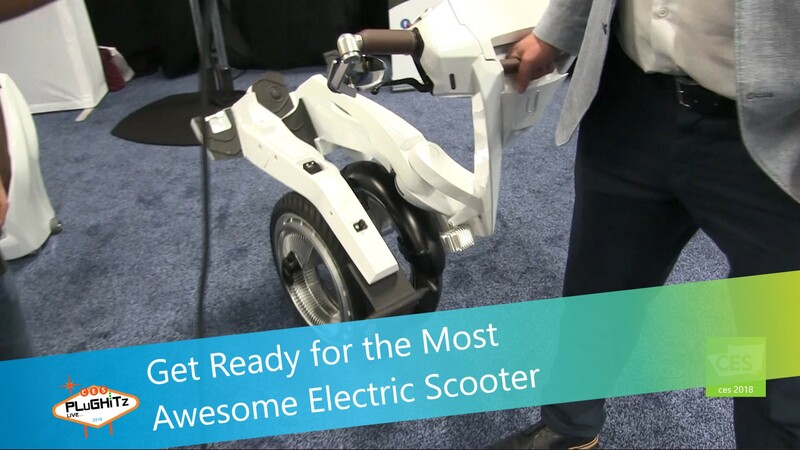 This electric scooter has the ability to travel 90 miles on a single charge. But this is in no way your typical electric scooter. For example, the seat serves as a detachable battery pack that conveniently rolls around like a piece of standup luggage. This technology makes it very easy to take the seat/power supply inside to charge. This is also a fantastic security solution as it is impossible to ride the scooter away when the seat is detached. The Ujet also has the fabulous ability to fold up to a very compact size making it easy to store in small spaces, such as the corner of a garage or hidden under the stairwell of an apartment building. Pricing for Ujet starts at $8900 USD, making it an affordable and cost effective alternative vehicle. There is also a version with the larger battery that costs $9990 USD. Interview by Jacob Cannon of FIRST Looks.